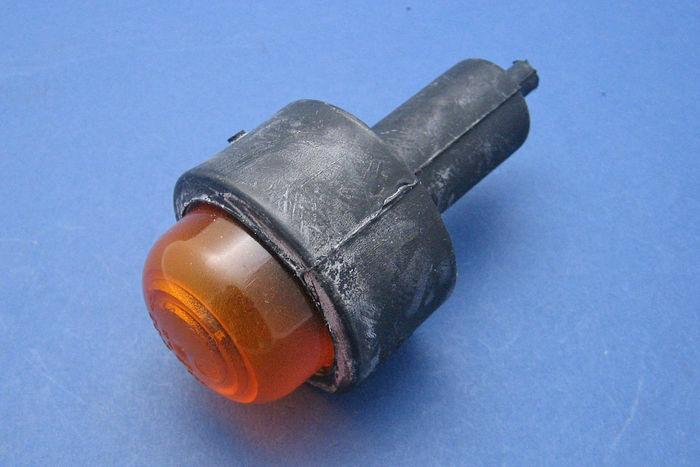 Rubber bodied marker lamp that can be used as a discrete indicator lamp. Body diameter 46mm, lens diameter 35mm. 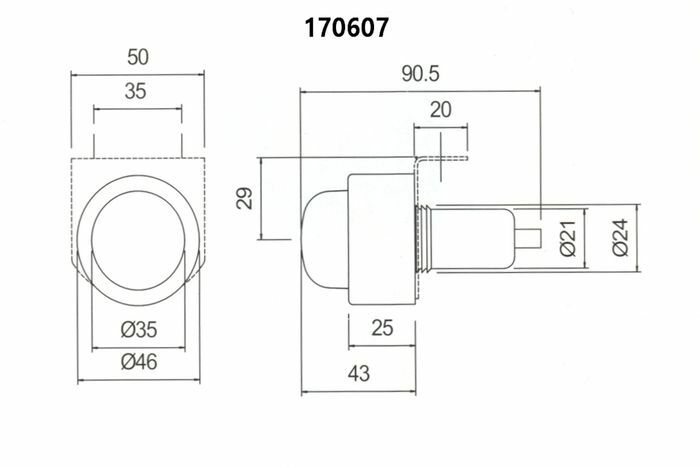 Overall length 91mm Supplied with mounting bracket. Requires BA15s bulb. Recommended for use with 19 LED bulb, part number 132401. E-marked. 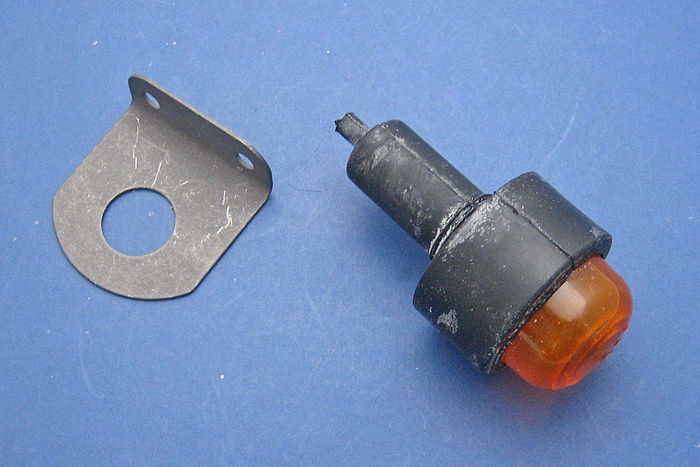 Please note: This lamp unit was designed for use with standard 5W bulbs. If used with standard 21W bulbs in a non-flashing mode, damage to the light unit will occur due to the heat generated.